Car accidents, sports, on-the-job injuries, or a simple unexpected jerk can cause what is known as whiplash. 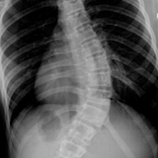 Sometimes, symptoms of this neck injury develop immediately, or pain may also start days or even weeks later. Sometimes, people will awaken with neck pain without ever being aware of having had a head or neck injury. 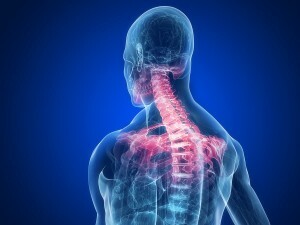 Neck pain is the most common sign of whiplash. Whiplash pain results from tightened muscles that originate from muscle tears or excessive movement of joints. The neck muscles tighten in an effort to support the head, limiting the range of motion. Medications simply address the pain caused by the muscle spasms and fail to address the true cause of the problem. Moreover, more than two-thirds of patients with neck pain from whiplash experience headaches.The pain may be unilateral, on both sides, persistent, or intermittent. Headaches, like neck pain, are frequently the result of tight, tense muscles trying to keep the head erect. Sometimes, pain will radiate into the shoulders. 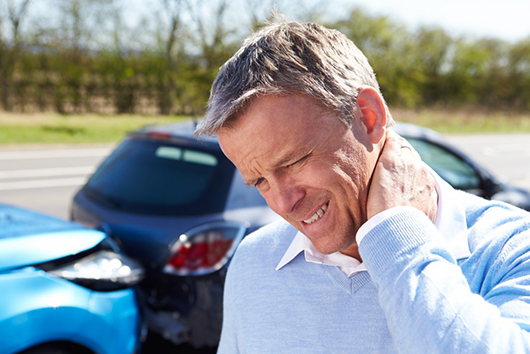 Unfortunately, untreated whiplash can turn into a chronic problem months or even years later. It is wise to get checked out and seek whiplash treatment as soon after an auto accident as possible to avoid future problems. Drivers suffering from whiplash after car accidents should call Dr. Moramarco for chiropractic treatment. Contact our Woburn chiropractic office for help with your neck pain or whiplash injury. Our chiropractors deliver gentle adjustments and may use adjunctive therapies for your neck pain. If your injury is the result of an auto-accident or personal injury, we are experienced at filing all of the necessary paperwork involved and coordinating insurance benefits. Our goal is to make things easier for you, reduce unneeded stress, and deliver the care that will get you back to a healthy state. Chiropractic treatment can help neck pain.